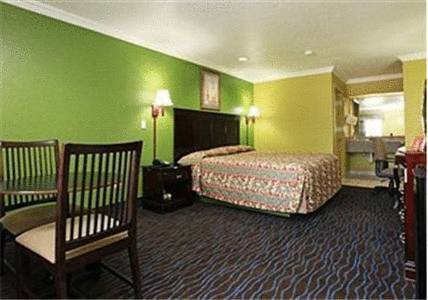 The Econo Lodge Houston Hobby hotel in Houston TX near the William P. Hobby Airport is an easy stop on the road. Nearby destinations include NRG Stadium, George R. Brown Convention Center, Toyota Center and San Jacinto College. Enjoy amenities like free continental breakfast, free WiFi, laundry facilities, free airport transportation and access to copy and fax services. Guest rooms include a refrigerator, microwave, coffee maker, hair dryer and desk. Also, earn rewards including free nights and gift cards with our Choice Privileges Rewards program.